In a world where everyone is busy, food delivery has become an everyday need and a flourishing industry. Like mobile app development industry that has been transformed with the arrival of Uber-like on-demand applications. It has been observed that the food delivery industry is already divided among leaders – DoorDash, GrubHub, UberEats, and Postmates. However, there are still many new applications joining the competition. Food delivery startups fight to sustain their presence in an overcrowded market and face challenges when promoting their unique food delivery service. So we decided to look at the most common problems that stand in the way of a successful food delivery app. Because on-demand food delivery apps are more than just a buzz as it has also gained the attention of restaurant owners, drivers, and mobile app development companies as well. So, what are the features that required to be included in a food delivery app? For understanding, this better, Panacea Infotech has done an intensive research and analysis on some of the topmost on-demand food delivery apps like UberEats, Postmates, Pizza Hut, etc. Many startups begin development with the assumption that everyone loves delicious food and the convenience of having them delivered to the door. But have you thought that different people have different demands? Thus defining the target audience for your startup goes way beyond that. Within the food delivery industry, there are a variety of services you can offer: You can deliver groceries (bread, milk, and eggs), curated menus, or prepared foods like burgers and fries. Each of these choices fulfils the demands of a separate target audience. Reliability and exemplary customer service are the two most important aspects of an on-demand food delivery app to retain customers. Customers should receive quick and friendly responses to inquiries or complaints. Customer support should be easily accessible from the app. Customers will want to use your app again if they can get discounts, vouchers or gifts. These special offers can be implemented via loyalty programs. You can, for example, give your customers higher discounts if they use your app longer. The Uber-like method is much more common among food delivery services, especially in the United States, as almost anyone with a car and interested in a part-time job is a potential employee. But companies that operate in busy urban areas opt for working with freelancers. But depending on the size and location of the market, some companies need to hire delivery-persons/ drivers. All on-demand food service providers are dependent upon GrubHub’s API that covers all the restaurant data like address, menus, open hours, etc. and saves them in the cloud. With this approach, the customers can easily retrieve the required information and comfortably place an order.Using the semi-public API of GrubHub, customers can gain access to menu information from an extensive database of over 10,000 restaurants. Moreover, this API can also be utilized by another food delivery app to transfer the order and payment details to a partner restaurant. Modern customers prefer accuracy and promptness of delivery. They would be happy delighted if their app gives them a clear idea of the estimated time delivery. For instance, the leading food chain Pizza Hut promises delivery within the marginal timeline of thirty minutes. Considering important factors such as the order quantity, delivery location, availability of drivers, etc. your app calculate a precise delivery time. Any food ordering platform cannot survive without including the crucial feature of in-app payments. Mobile app development company can integrate any payment system into an app like PayPal Stripe, etc. to allow the customers to initiate a payment via their credit/debit cards. It is the best thing if you integrate as many payment options as possible to furnish a smooth and comfortable customer experience. All customers wishing to stay informed about the delivery status of the food they have ordered. Make your app have the ability to real-time location tracking. Now, how to add GPS tracking to your food delivery app? The primary step is to discern the location of a user. Mobile app development companies can use Google’s Location API (Android) and CoreLocation framework (iOS) to precisely location tracking. Once a food is delivered, customer’s feedback is very important. Listening to the feedback from the user is a great way to know the usefulness of your app. Positive feedbacks are well and good for your business however negative feedbacks are helpful too. You may question how? Because with the help of negative feedback, you would come to know what are the features that lack in an application, where you need to make the improvement, etc. Thus, mobile app development company must include ratings and reviews feature in food delivery application. With the upsurge of on-demand services, chains of restaurants are looking for mobile app development for their food delivery business. These iterative food apps not only offer the details about the food menu and drivers but also allow them to locate the real-time position of drivers, rate the services. 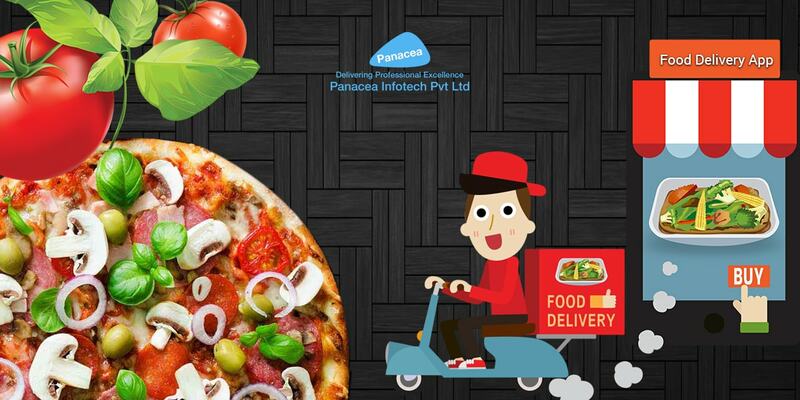 If you want to develop an on-demand food delivery app, Panacea Infotech will help you to get one. We are leading mobile app development company with immense experience in the industry.